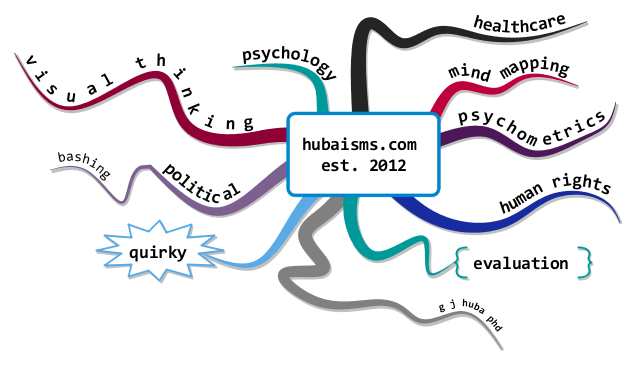 This post is part of Huba’s Integrated Theory of Mind Mapping. Click here for a list of all of the blog posts that present the theory. The second most important innovation in modern mind mapping was the development of a flexible computer program that would permit a visual thinker to create models and theory and reminders and notes and all manner of visual thinking aids simple and complex. Often categorized as a “mind mapping” program for Buzan’s guidelines for mind mapping, iMindMap has evolved into a full visual thinking environment that permits dozens of types of visual elements to be created, and on the same canvas if desired. Instead of limiting itself to its Buzan roots, iMindMap permits users to create all manner of mind maps whether fully Buzan-compliant, partially Buzan-compliant, or any other format required. It is easy to use and oh so interactive. Because of its great interactivity it permits users to create Mind Mapping 4.0 very modern information maps and displays that transcend earlier guidelines. The most important characteristic of the program is that it encourages users to customize mind maps endlessly and experiment with different ways of presenting the same information. It produces visual thinking output that can be very easily changes as the user wishes to use new information, a broader or narrower scope, and customization for different groups. Can you say F-L-E-X-I-B-I-L-I-T-Y boys and girls. Now, how about C-R-E-A-T-I-V-I-T-Y? 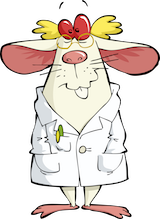 Without the presence of the iMindMap program my own theory could not have been developed which I view as the most important innovation in modern mind mapping. iMindMap permitted that most important of activities in model building, namely experimenting with different alternate models (formats). You should use this computer program if you want to join me in studying mind map theory by mind mapping in many variations. That’s what I do. A mind map showing why iMindMap is a terrific, super-duper, fantastic tool for model and theory building and refinement. Click to expand. iMindMap was developed by Chris Griffiths and his team at OpenGenius. Each annual revision of the program is a work of genius. One has to experiment as one builds models, theory, and even a simple mind mapped grocery list. This is the tool that lets you do so with ease.